Relax in comfort during your 1 day private charter around the Whitsunday Islands! Ideal option for those short on time who still want a taste of the Whitsundays! Spend time snorkelling in the colourful fringing reefs and get up close with marine life! Explore the Whitsundays on board your 1 day private charter on board Whitsunday Bliss. This inner reef adventure gives you the chance to see the beauty of the islands with snorkel time, authentic sailing and a day of luxury. You will find everything you need on board, with an attentive crew, spacious interior as well as the comforts of home. Whitsunday Bliss 1 day private charter is a great way to enjoy an authentic Whitsundays experience all in one day. 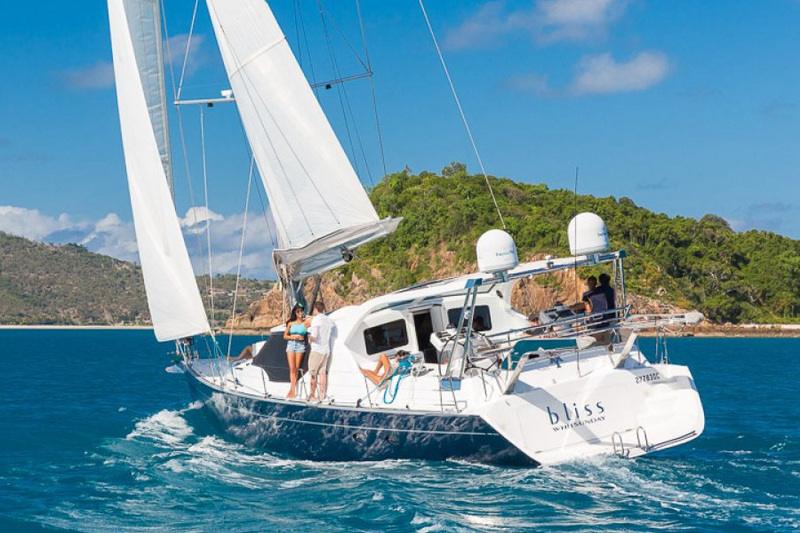 Your 1 day private charter on board Whitsunday Bliss will have you sailing your way to the Northern Whitsunday Islands where you will get to snorkel in the beautiful coral reefs that fringe Hook Island. Here you will get to explore the amazing underwater world, swimming in the calm waters and visiting with Maori Wrasse, green sea turtles, parrotfish and more. You will get to enjoy the thrill of moving with the power of the wind as the sails are hoisted and the engines are turned off. Guests will also get to indulge in a delicious seafood lunch, freshly prepared on board, as well as morning and afternoon teas to fuel their day of adventure! Sunlounge on the forward deck or even get involved and help the crew sail around - this private charter is a great way to have the full Whitsundays experience in a short amount of time.